At ISG we pride ourselves on being different. Why? Because we believe "be prepared..." is an incomplete sentence. The worst case scenario for most people is illegal detention by criminals or hostile states. We discuss some myths and consideratons about E&E. This article includes a link to the ISG podcast on the E&E Overview. When it comes to off road sports or adventure, it's important to size up what you want to do. There's mudding, rock-crawling, wheeling, trails riding, off-road expeditions, there's overland travel, and all sorts of in-between. All require something just a little different of the driver, as well, but there are some universal principles. This is a very 'down and dirty' version that gives some ideas for what to expect when preparing for a trip. In future articles, we'll discuss more of the technique involved as well more specific information about things like setting up kitchens, roof-top tents, and camp sanitation. Urban Exploration is a risky pursuit, often reserved for vandals and the social fringe. Why is it a valuable tool for training? We look at the unique qualities that URBEX provides the serious student of collapsed environment. The Raven was selected to represent the ISG family due to it's legendary adaptability, it's problem solving, and it's commitment to it's community. In this article, we answer the question of "Why the Raven" in greater detail. Most of the time when you encounter 'emergency rappelling', the topic is from the perspective of the rescuer and geared towards mountaineering and rock climbing. But what about the person who's looking for an expedient method of egress in the urban environment? Our team took what we learned from traditional rappelling and began to look through the urban landscape for when and where you might need an emergency rappelling device for the urban landscape. Join us for "Urban Skills: Emergency Rappelling". Survival is a beat to death cliche. Learn why the last 30 years of prepper culture can be left behind, and a sane, rational, and practical framework to managing emergencies is still relevant today. Understanding Emergencies is our flagship work, and it's purpose is to give you a clear understanding of how Integrated Skills Group views resilence and disaster management. Let's tackle a hard truth: Not everyone who gives advice should. When it comes to fighting for your life, it pays to be discerning. In this article, we call out some "not in the face!" instructors who need to rethink their approch, and we give some thoughts on not getting killed (or beat savagely) from our experiences. Too often, instructors and teachers are relying on their credentials to validate their expertise. The problem is this: It's experience that's relevant. Plenty of professionals have little experience, and fewer yet can make that relevant. So what should you look for? Glad you asked. There are countless posts and topics on "everyday carry", and most are written by people with only a vague notion of what it means to be useful. In this article, we discuss the primary four tools that help us overcome both circumstance, and our own physiological deficiencies... Join us for "The Core Four of EDC". At the core of culture is purpose; this concept unites or divides us, and when we find ourselves in a society that doesn't require it, purpose evaporates. In this article, we discuss why purpose is essential to our culture at ISG, and how we find purpose to drive us forward. Picking locks isn't just for criminals. Having the ability to bypass locks comes in handy in daily life as a way to assist your friends and family, as well as solve your own problems without having to call a locksmith. The tools are legal in most states and a few hours of training can have you working your way around lost or misplaced keys without having to rekey a door or cut a lock off. As a part of a well rounded skill profile, understanding security is an essential part, and there's no better way to understand it than to challenge it. Join us for "Non-Destructive Bypass".  Do you ever get tired of gun culture's endless stream of cliches, anachronisms, and tropes? Yeah. Us too. Here's a couple examples that we'll firmly debunk, and a few ways to gut check assertions made by the Dunning-Krueger's club. One of our most basic elements of personal preparedness is what we call mobility. While mobility spans from travel on foot to piloting specialized craft, in this first of the series we discuss individual mobility and how to prepare for it. This article is meant to shed light on the fallacy surrounding "bugging out" and other similar concepts, and ties directly to our work on how to pack, outfit, and prepare for any situation. Join us for "Level Up: Mobility". Low light problems are difficult to navigate when they're 'cut and dry', but how about in an emergency when there is no backup, medical evac, or night vision in your logistic chain? The citizen faces the most difficult challenges of all, and the low light environment is no exception. In this article, we discuss how light works with our eyes, and how tactics and technique can help us minimize our risks in the low light environment. One of the first things you'll hear when you decide to take up self-defense is "EDC". In this article, we summarize all the experiences we've had, and hone the subject to fine point. With facts, citations, and drawing on a broad base of skill and experience, we define what EDC is really about: matching your ability and equipment in a way that makes you always an asset. Perhaps the most flogged topic in all of preparation is the "Bug out Bag". This article is dedicated to punctuating the fact that if you bug out on foot with nothing but your backpack, you've failed. We discuss the origin of the phrase, some of the critical elements of planning, and of course, why the backpack is still an integral part of almost everything we do at ISG. Don't fall for the fallacy, a Bug Out Bag is acceptance of failure. Sustainment bags keep your plans on track. When you're trying to learn something new, technical jargon and lingo often make the process frustrating enough to just turn people away. We want anyone, of any skill and knowledge level, to be able to come to ISG and learn. This glossary is an easy reference to some of the terminology commonly used in preparedness circles. Quite a few of them we think are ridiculous, but we'll share them so if you see us reference them, you'll be able to easily figure out what we're talking about. In this follow up to our article on Dunning-Kruger's effect, we discuss how training properly creates a web of competence that counteracts incompetence. The Dunning-Kruger effect is one of the most powerful vulnerabilities in the human mind. Often, the loudest, most forceful voices, the best circulated ideas, and the boldest assertions are from people who know little or nothing about what they're talking about. In this article, we discuss the history of the Dunning-Kruger Effect while exploring ways we can audit our information sources for reliability. It's not often we tackle a topic like this, but after seeing pistols carried crossdraw outside the waistband twice in one day, we figured maybe the information needed to see the light of day. In it, we discuss the cascade of problems this carry method can present relative to other methods. While it might be too late to chance these guys' minds, if we get the knowledge out now, we might be able to insulate future generations of armed citizens from falling into the trap of bad practice. Ever wonder how you and your family would manage if you found yourself wounded by an active shooter? Today's article reviews a training course designed to test your ability to transition between saving lives and stopping the carnage. In this second article in our series, we discuss context as it applies to skill development. This is a more advanced look that tries to explain why structured plans to achieve our goals are necessary; Develop the skill, apply the skill, gain experience, and reassess. Find out the nuts and bolts of the process with us here, for Context in Training. In this work, we discuss the origins and culture around the phrase "carrying the fire", and how it's origin relates to our mission. The idea of carrying the fire comes from the embers kept in a firehorn, which would be carried by the strong and reliable who rode ahead to start a fire for the tribe. YouTube is a modern vaudville where the strangest things draw crowds . As such, it can be entertaining, but the information you get there should be taken with a grain of salt. If there is a myth that needs busting, it's that YouTube + Preppers = reliable information. Nothing could be further from the truth and in this article we tackle a pretty egregious example of how "prepping" does NOT equal preparedness. In this Article, we confront the "G-Wrap" technique and give our thoughts on why this technique doesn't hold up based on our experiences in real world fights and extensive force on force training. We thank the author for being inviting of criticism and hope this is productive and stimulates good dialog. It should probably go without saying, but 'dual wielding' long arms is a bad idea. In a "you can't be serious" episode of "Bad Practice", we discuss Wyatt West Tactical's gunjitsu approach to having two longarms in play at the same time is not even a bad idea, because calling it an 'idea' implies consideration. In this, we discuss one of the most important items the concealed carrier can purchase: your holster. Within, we'll trap the good, the bad, and the ugly of holsters while acknowledging that no one will work perfectly for everybody. Instructors and students both have the responsibility of identifying whether or not a student is ready for the material presented. In this article, we take a look at a young woman who's entirely unprepared for the tasks being asked of her, and instead of remedial attention, she's continually placed in situations she's unable to handle. Oh yeah, and the time to review your class isn't while the class is in session. This is a CTA Div. Please put something catchy here.